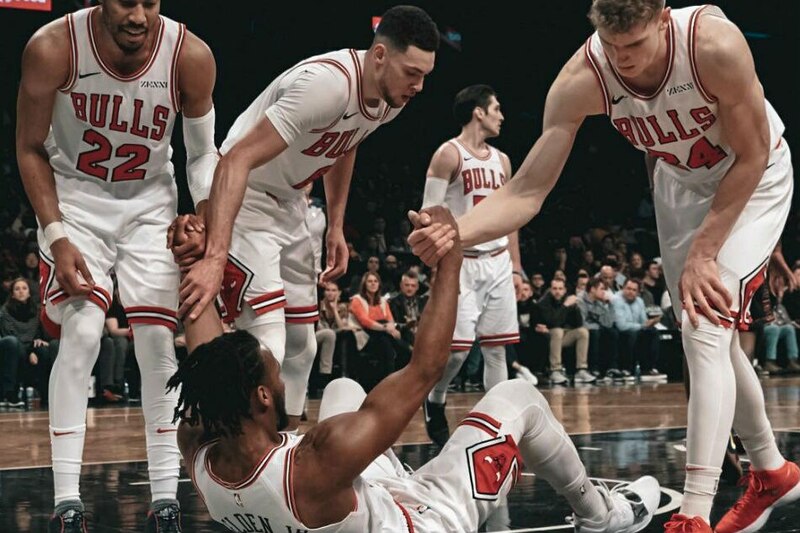 Lauri Markkanen collected 31 points and 18 rebounds as the visiting Chicago Bulls led most of the way and recorded a 125-106 victory over the Brooklyn Nets Friday night. Markkanen shot 11 of 18 and hit four 3-pointers for his 10th double-double of the season and fifth in six games. His third straight 30-point showing helped the Bulls snap a six-game losing streak to the Nets and also win for the third time in 19 games since Dec. 30. Zach LaVine added 26 points as the Bulls shot 54.1 percent and made 14 of 28 3-point attempts. Kris Dunn added 14 with nine assists and Robin Lopez chipped in 12 for the Bulls, who held a 50-33 rebounding edge. D'Angelo Russell scored 23 points for the Nets, who lost for the fourth time in five games and only for the third time in their last 17 home games since Dec. 7. The Nets shot 41.5 percent and also lost for the 10th time in 31 games since Dec. 7. The Bulls shot 54.2 percent in the opening quarter and took a 32-27 lead then expanded it to 40-30 on a 3-pointer by Wayne Selden Jr. with 8:51 left. A three-point play by Russell forged a 43-43 tie with 3:56 left but Chicago held a 55-48 by halftime. Chicago continued to maintain its lead and took a 93-80 lead into the fourth and expanded it to 104-86 on two free throws by Timothe Luwawu-Cabarrot with 8:06 left. Consecutive hoops by Harris cut the deficit to 106-97 with 5:28 left but the Nets never got the deficit any lower the rest of the way and consecutive hoops by LaVine with about 3 and a half minutes to go secured the victory.